Are you decluttering? 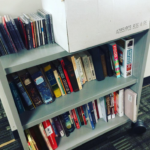 We accept book and AV donations. Copyright © 2019 Cary Area Public Library. All Rights Reserved.